﻿Lending a hand to provide the little and not so little extras for the Library. In the Library Meeting Room. 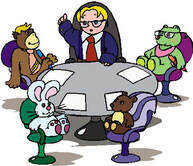 Everyone is welcome to attend our board meetings. ​Please join us, we value your input. ​Dates not yet set for 2019 puzzle sale. However, if you do shop online we want you to know that Amazon donates when you shop at smile.amazon.com. The Friends of BPL are delighted with the positive response to the recent letter of appeal we mailed to many of our Friends, past and present. ​We also included a number of local businesses and Friends of Friends who may not know the many ways ​we help ​support the Benzonia Public Library. Membership dues, donations, and fundraising proceeds help support a variety of Library programs & services. ​Donate excellent quality used books, DVDs and jigsaw puzzles. Excellent quality means something you’d be proud to give to a friend. The Repurposeful Librarians have also been creating and selling craft items to raise additional funds. Memberships are for January-December. Dues received during Sept.-Dec. apply to the following calendar year. Everyone is welcome to attend our board meetings. Please join us, we value your input. The Friends of Michigan Libraries newsletters are available online. The Friends of BPL "Thank You" for ​supporting our fundraising events.